Neal Street Productions is a UK-based film, TV and theatre production company formed in 2003 by Sam Mendes, Pippa Harris and Caro Newling, and Nicolas Brown joined in 2013 to work across the film and TV portfolio. 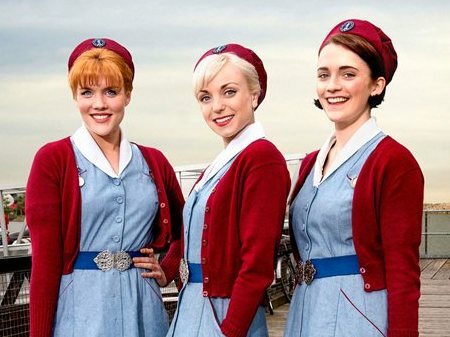 Their diverse television slate includes the award-winning Stuart: A Life Backwards, with Tom Hardy and Benedict Cumberbatch, the hugely successful Call the Midwife. Regularly gaining over 10m viewers, it is the UK’s most watched TV drama series, and the BBC has recently commissioned an unprecedented further three series. A third and final series of Penny Dreadful written by John Logan, starring Josh Hartnett, Eva Green, Timothy Dalton and Rory Kinnear aired on Showtime in the US and Sky Atlantic in the UK in Spring 2016. Neal Street also produced two series of the critically acclaimed and award-winning The Hollow Crown – a series of Shakespeare films for the BBC/PBS – starring Ben Whishaw, Tom Hiddleston, Jeremy Irons, Benedict Cumberbatch, Judi Dench, Hugh Bonneville, Keeley Hawes and Sophie Okonedo. Their latest show, Britannia, a major new original drama series written by Jez Butterworth starring Kelly Reilly, Zoe Wanamaker and David Morrissey, will air on Sky and Amazon in 2017. On the theatre side, Neal Street Productions has produced The Bridge Project, Shrek the Musical, Charlie and the Chocolate Factory, South Downs & The Browning Version, Enron, Three Days of Rain and the current revival of James Graham’s The House in the West End. Their films include Revolutionary Road, Jarhead and Starter for 10. Neal Street Productions is an All3Media company, All3Media is owned jointly between Discovery Communications and Liberty Global.